Did you know that zucchini is a fruit? In addition to the inelegance of this fruit, a green zucchini looks very similar to a cucumber. Nutritional values of both are similar too, a zucchini is a little higher in calories and protein, whereas a cucumber is higher in its fibre content. The vitamin and mineral content is significantly higher in zucchinis. You can eat zucchinis raw or cooked. Steaming or stir-frying them are the most common methods of cooking. Below, I am suggesting my zucchini patties recipe that I have been improving for the last 8 years. My latest modification was to remove the dairy component. Please enjoy, they are so simple to make but they are delicious and always surprise new tasters. 1. 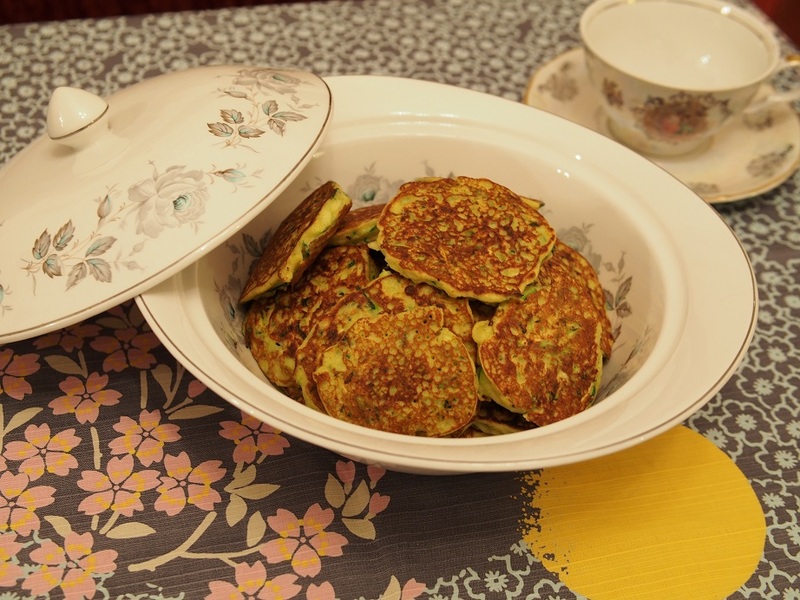 Grate zucchini coarsely. Grated zucchinis needs to be used quickly otherwise it will be difficult to cook due to juices. Immediately add all other ingredients and mix well. 2. Spray the pan with olive oil and heat it up. Use a tablespoon to measure out the mixture equally, then fry the patties on medium heat for about 1-2 minutes on each side.